Since 1972, distribution partners and their workshop customers worldwide benefit from the expertise and experience of Diesel Technic from Germany. As a full-service provider of automotive parts and accessories, Diesel Technic is the leading full-service partner of the automotive industry. In addition to the headquarters in Germany, a global network of subsidiaries with service and logistics centres and trained, authorised distribution partners, ensures local support and reliable spare parts supply for workshop customers in over 150 countries. Distribution partners and their workshop customers benefit from a complete range of automotive parts and accessories from two product brands for various requirements in guaranteed quality. 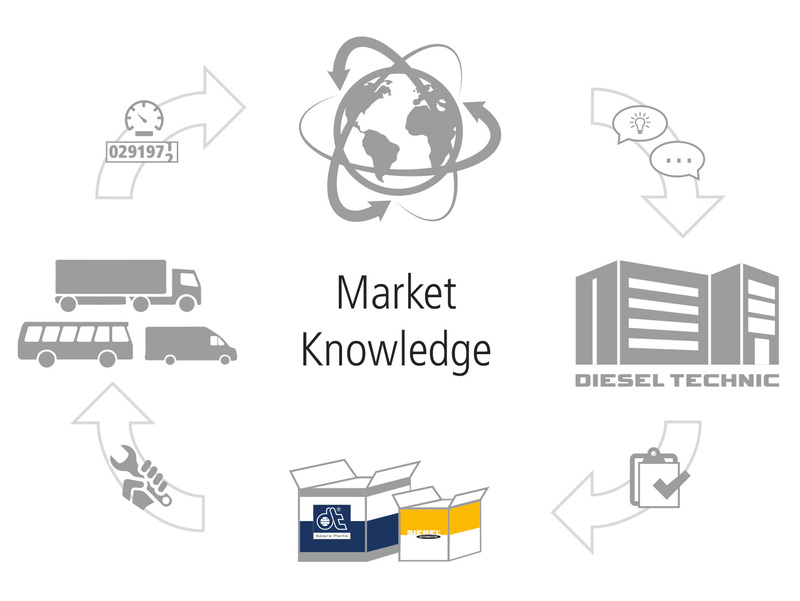 The regular, open feedback from distribution partners and their workshop customers from the worldwide markets flows straight back into the continuous further development of the product and service offer at Diesel Technic. The result of this close collaboration throughout the whole value chain are sustainable solutions for the generation of mutual growth.